for Young Moderns: FYM CRAFT BEER: SOUTHERN TIER PUMKING BREW DOWN! FYM CRAFT BEER: SOUTHERN TIER PUMKING BREW DOWN! Finally it's October, time to start enjoying what fall brings other than crappy weather and leaves. 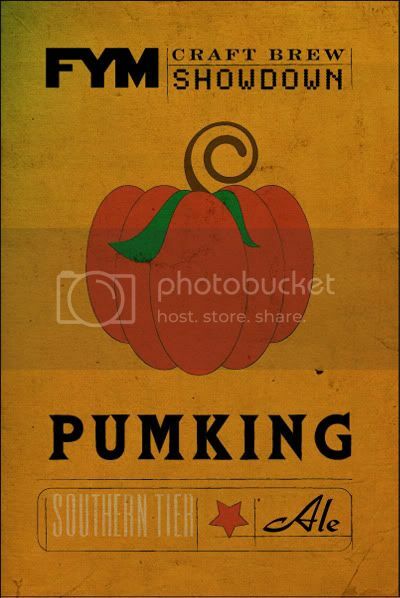 Southern Tier Pumking Imperial Pumpkin Ale!!!!! For those who love all that is pumpkin, if you haven't tried this brew yet you should be ashamed of yourself! Bottom line it's the best pumpkin out there here are the facts. If you like Pumking and love Octoberfest brews this is the one for you. An Octoberfest with balls "finally!!" those who know, understand they have nothing but great beers. (My favorite) The Maharaja which I have coined the holy grail of beers because it is just as hard to find than it is magical (at least in my neck of the woods). They have the 90 and the 120 but but there pumpkin falls short of Southern Tier. It's good don't get me wrong, it's strong, and has an intense aroma and tastes like pumpkin (duh…) Just what I would expect from Dogfish Head, they never disappoint. Smuttynose is always impressing me. A somewhat underrated brewery from NY their flavors are always so rich I don't understand why they aren't HUGE by now! I just tried their pumpkin, and it was very well balanced not to spicy like a lot of pumpkin beers tend to be. A good average pumpkin ale, a bit too much spice, and not enough pie in my eyes. Still all in all a good beer, and should not be overlooked if you have the chance pick it up. Well anyhow my beer is empty time to get a fresh one.